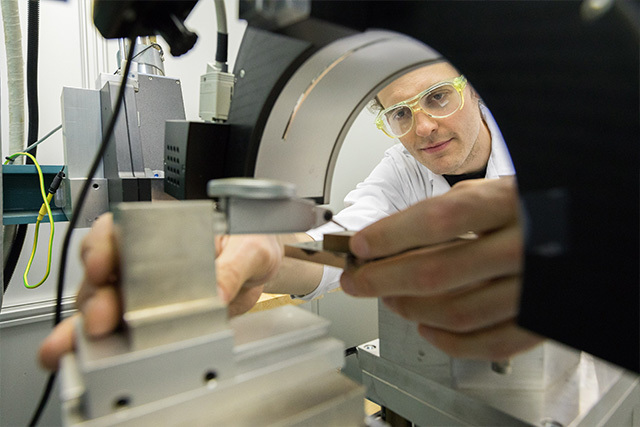 CEST as THE Centre of Excellence for Electrochemistry and Surface Technology offers its customers high level contract research in the areas of electro chemistry, surface technology, corrosion technology and bio sensors. Based on many years of according research activities our expetise concludes electroplating and metallisation (also on polymers), corrosion protection and corrosion science, surface treatments and passivation, functional surfaces and coatings, PEO – Plasma Electrolytical Oxidation, additive manufacturing (3D printing) and electro polishing, lightweight construction and composite materials regarding corrosion and surface issues, Cr(VI) replacement (REACH). We are happy to work on small orders up to long term projects. We follow a fast and flexible work style and our approach is customer focused and driven to establish solutions. Our interdisciplinary approach and long term experience in the fields of corrosion, electroplating, electrochemistry and functional surfaces is the key to be the ideal partner for industrial customers. Please do not hesitate in contacting us, we are looking forward to working with you!